A school’s best defense in court is a well-trained supervisor. 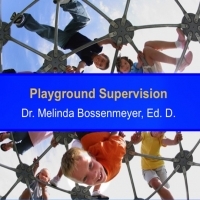 Annual training for Playground Supervisors should occur in order to ensure student safety. Our Playground Supervisor Training and Certification Course is convenient and cost effective. 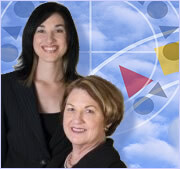 We offer this course online. The Peaceful Playgrounds Online Playground Supervisor Training and Certification are designed to introduce administrators, teachers, substitute teachers, physical educators, parents, after-school personnel, and playground supervisors to the responsibilities and techniques associated with keeping children safe on a playground. The Playground Supervision Course is divided into 5 areas. 1. Injuries: Definition of injury, the definition of accident, where children are injured, type of activities that cause serious injury, playground laws and regulations, surfacing and injuries, Consumer Product Safety Guidelines, injury prevention tips, and when to intervene. 2. 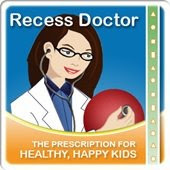 Supervision: Supervision zones, before recess responsibilities, during recess responsibilities, after recess responsibilities, and supervision tips. 3. Dealing with behavior problems: Procedures to follow, respectful intervention and redirection, resources and unsafe behaviors. 4. Legal Liability: Definition of Standard of Care, tips for reducing liability, General Standard of Care, inappropriate games and activities, and how to limit your liability. 5. Hazards: Surfacing, public use, maintenance, and inspections. To receive 20% off all courses use the BTS1720 at checkout. 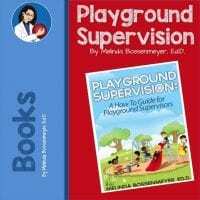 You may also be interested in the Playground Supervision Book.